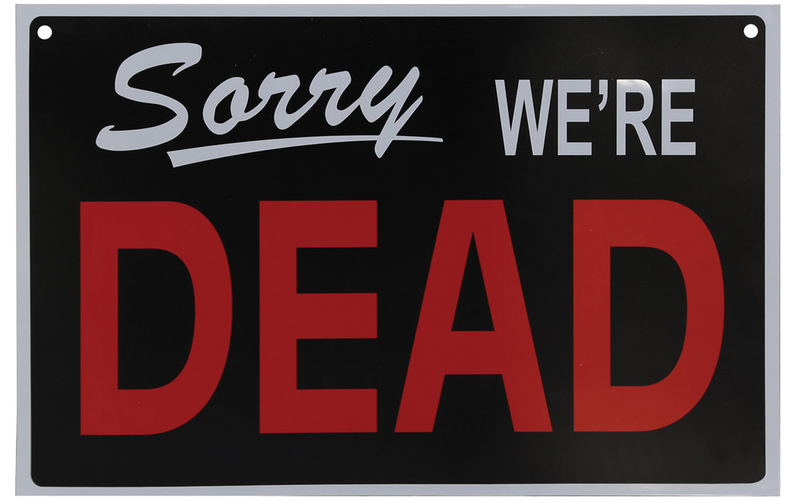 Now, shopkeepers and neighbors alike can let people know if they're "Open For Victims", or say "Sorry, We're Dead" with this reversible sign. 100% PVC. Perfect for your Halloween setting or the zombie apocalypse! Approximately 11 inches x 8.5 inches.